I made a sample with Forge Viewer a few months ago. 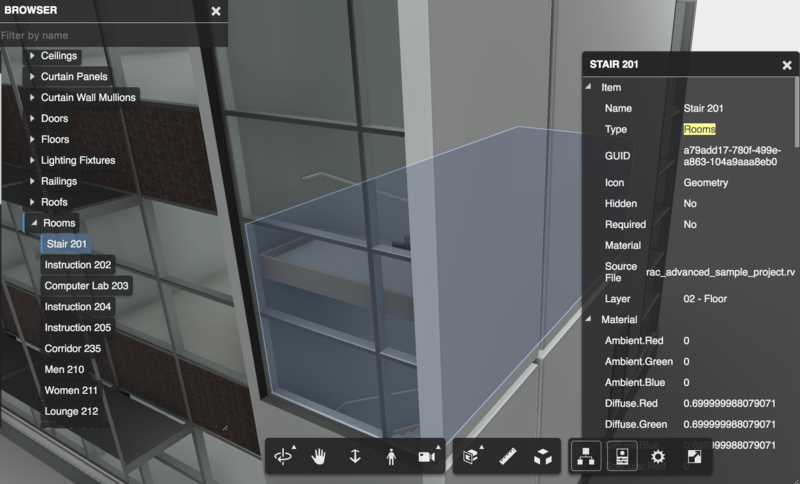 In this application, the 'room' objects in a building are rendered with shader (the object faces are colored in native Three.js way). I just got a chance to sort it out for reference. Firstly, we need to have a building model with 'room' objects. 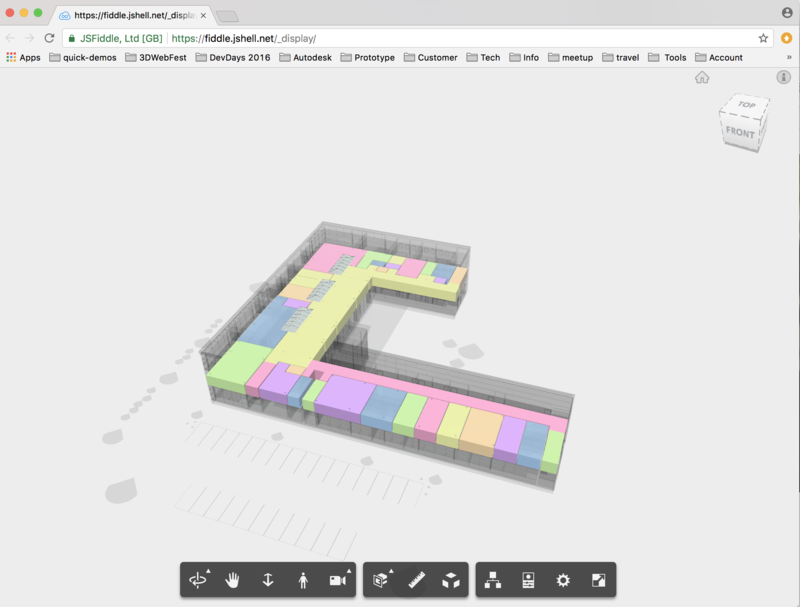 It is a pity Forge translator does not extract native Revit file in the format of level (floor), rooms, while Navisworks has the concept of rooms and brings this along when imported into Forge. 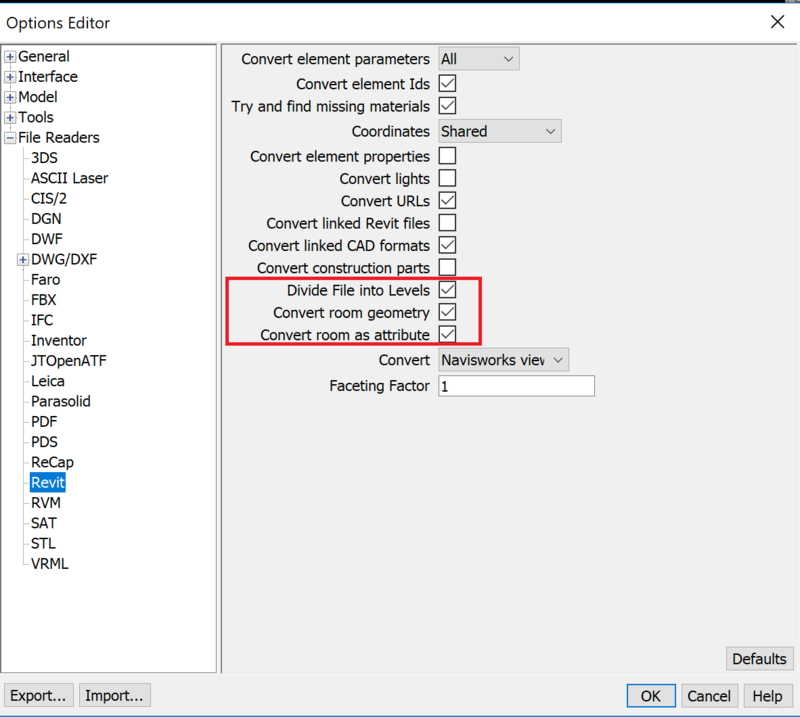 So, we can save the Revit file to NWD format and send to Forge to translate. before opening in Navisworks, make sure the options for Revit are ticked. All rooms have the property [Type=Room] .By Viewer.search, we can find out all rooms. The code snippet below further filter out the rooms that locate on the specific floor. For each room object, get the fragments, and get the triangles of the object as introduced in the other blog: Show up Mesh Triangles from Data of HitTest. With the workflow I introduced in the other blog Show/Hide Textures of Object in Forge Viewer, the shader faces can be toggled visible or not. The code below filter out the specific materials that are for shader face (with the special names) and make the material transparent. //notify Viewer to refresh the scene. This is the test JS code project: https://jsfiddle.net/xiaodongliang/1qe0jnpo/6/ and the extension source code is available at https://gist.github.com/xiaodongliang/377c9e34eac238cf0d912ce5eb74e1ea . Some codes are borrowed from the IoT project my colleague Ryuji Ogasawara produced. Thank you Ryuji!